“When I told my siblings and parents recently that my family and I would not be going on a family vacation with them, the blowback was way worse than I expected! They all told me that I was mean, selfish, and inconsiderate. I stood up to them and tried to explain, but they refused to even listen to my reasons. I just wanted to do something different with my time off, and just with my immediate family. We didn’t want to travel (or be in an environment that is rather stuffy and tense, and very superficial!). We wanted to have a vacation that is warm and loving and authentic. I just couldn’t do another “traditional” family vacation, dealing with all the pressure and tension that has always come with these trips. But of course, I can’t tell them that part of my reason! Great question… and a very common situation for many people in large families! Many families have traditions such as these about how holidays and vacations are “supposed to be” spent. They have created a belief that “being all together = love” and that the unbroken observance of that tradition proves that they are a loving family – when the actual experience of the get-togethers can feel anything but loving! When we decide that something no longer works for us and we challenge that (or any other) norm – or even when we just want to take a short break! – there will be push-back. Human beings are creatures of habit, and a fairly universal habit is to strive to maintain the “family status quo,” which shows up in many ways: rules, traditions, and even the language they use to describe family members’ behavior. Check it out: is there a word or phrase in your family that, if someone said that about you, you’d know you were in BIG trouble with the clan? Why you get that “how dare you? !” reaction, when you’re just trying to be happy! …etcetera, etcetera! The list of comments that in the past have “kept you in the fold” is pretty much endless, isn’t it? The bottom line is, whatever message you hear, it’s all designed to keep you from abandoning the family. When you make a new decision, even if it’s one that feels healthier for you, you will in essence be seen as abandoning the group. How to be happy without upsetting the apple cart? First, give up that pipe dream! Forget trying to avoid the upset – It’s just not going to be possible. You cannot single-handedly change the traditions, or the emotions attached to them. 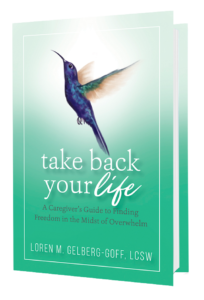 All you can do is strengthen your boundaries and keep telling your family members that you love them, that this is something really important to your happiness and well-being, and that you’ll try to be there next time (if you think that’s a possibility; otherwise leave that part out). Then be okay with your choice! 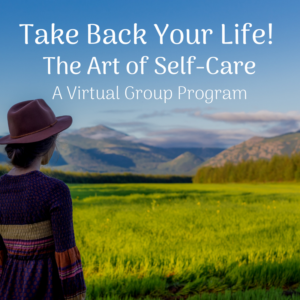 If you have spent your life taking better care of others than you have of yourself, this is a huge breakthrough moment for you (the kind we create on a regular basis in the “Take Back Your Life” group programs!). Standing up to one’s family of origin takes courage, and once you acknowledge that you want or need to make a change, it’s far too painful to go back to old habits and behaviors. Be true to you, knowing that in the long run you’ll be much happier and at peace…and better able to love them, even if it has to be from a distance. If you find you need some further tips and ideas for dealing with family expectations and/or upsets, I encourage you to request a complimentary 30-minute private consultation with me by filling out the form below. I’ve set aside time in my schedule specifically to help readers just like you find new ways to cope with, and feel good about, the family challenges that inevitably come up. Don’t hesitate – you deserve to let go of that constant stress, and to feel better. In 30 minutes I can share something new with you designed to help you do just that!